Automobili Pininfarina’s 1,900 hp Battista hypercar has arrived in London – and it’s pure electric. 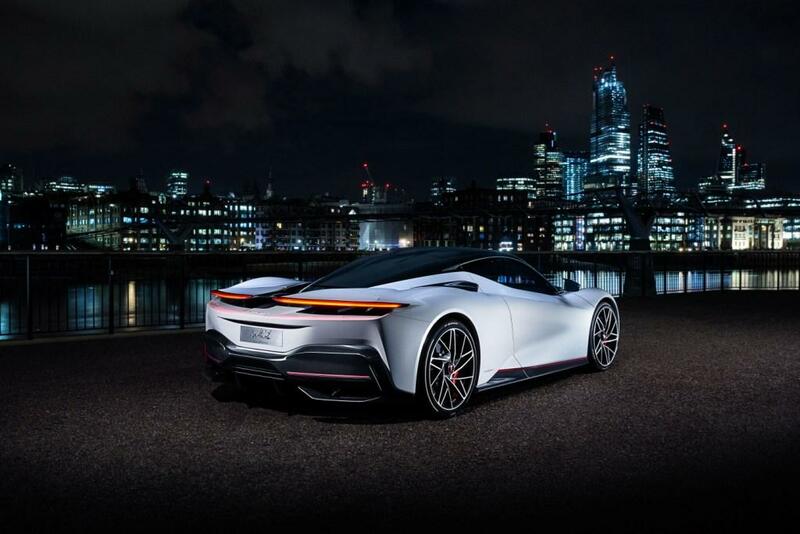 The stunning Pininfarina Battista makes its UK debut as the city launches its latest battle against pollution through its Ultra Low Emissions Zone (ULEZ). But the most powerful car to be designed and built in Italy when it goes into production next year will offer future free and unrestricted access to central London. With first deliveries due in late 2020, just a few months before the ULEZ extends to the whole of Greater London in 2021, the Battista’s electric powertrain provides extraordinary performance within a dramatic body that is pure hypercar – a true, new poster car for the EV generation. 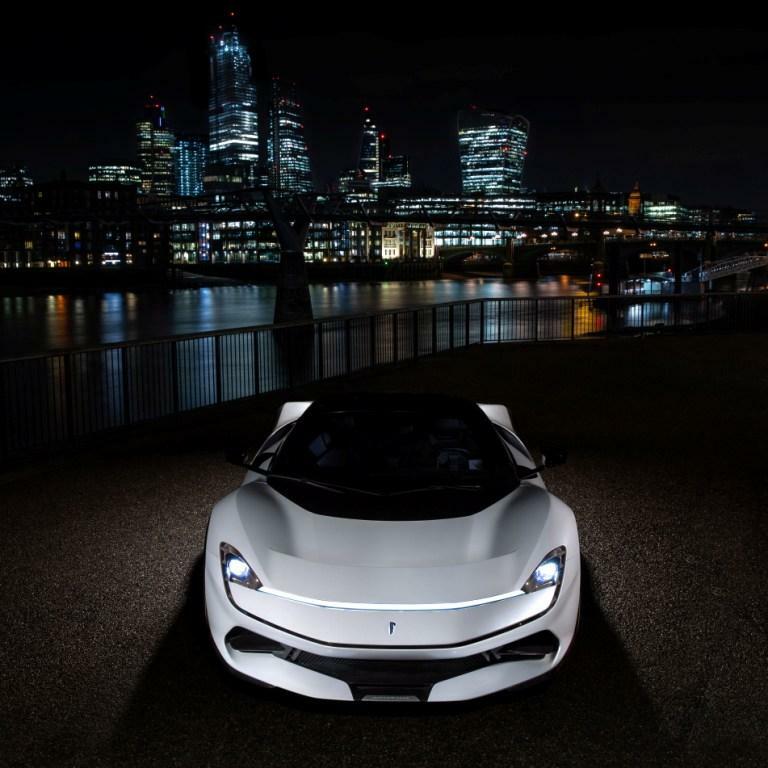 With its beautifully elegant design by the world-famous Pininfarina automotive styling studios in Italy, a single-charge range targeting 300 miles for a non-stop drive from London to Paris, and a sprint to 60 mph in less than two seconds – faster than a Formula 1 car – the Battista represents a new reality for electric car desirability before ultra-low emissions moves to zero emissions regulation. Michael Perschke, CEO, Automobili Pininfarina, said: “The Battista is a truly beautiful, guilt-free hypercar – the first EV to really fall in love with – because electricity enables us to develop it with zero emissions and as the most powerful car that will have ever been designed and built in Italy. 2018 saw electric cars reach new levels of popularity for the car buyer. EVs were the 4th most searched for segment amongst car buyers in the UK car market, the USA’s best-selling luxury car in 2018 was an EV, and in Norway – a country built on oil revenues – the best-selling car in 2018 was also electric. 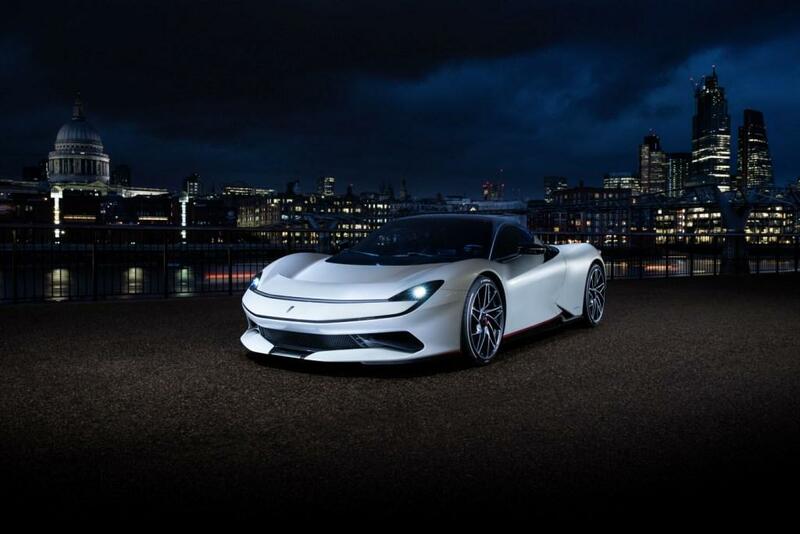 Just 12 months since the Automobili Pininfarina luxury EV car business was first introduced, the Battista’s place as the most powerful, luxurious and beautiful electric car available to order today therefore highlights the technologies and desirability that electrification offers car buyers and the traditional car industry. Equally, its unique combination of performance – which no petrol-engine car will ever achieve – and Pininfarina-designed carbon fibre body appeals to traditional supercar collectors and automotive connoisseurs. 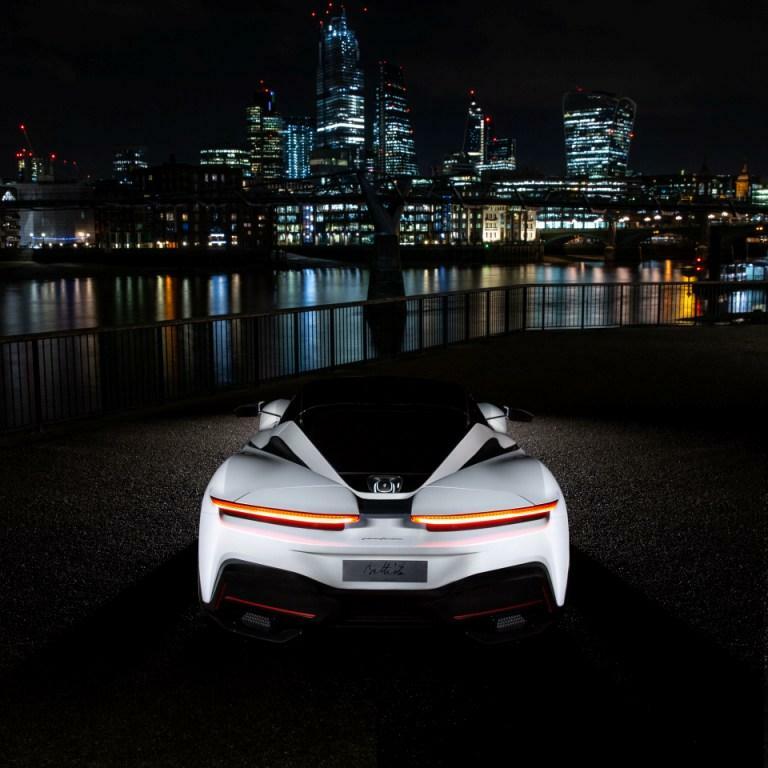 It is pure supercar in its style with just the charging e-port, which glows and pulses according to its state of charge, giving away its electric-car credentials. Luxury cars have historically provided the foundation to innovation for the mass market to follow. Whilst its limited run of just 150 cars will ensure the Battista remains rare and collectable, it is anticipated that its position as a pioneer of zero-emissions desirability will accelerate demand and desire for EVs – just not quite as rapid an acceleration as the Battista itself. The Bianco Sestriere pearlescent white Pininfarina Battista design model that starred at the recent Geneva Motor Show will make its UK debut today, Friday 5th April, at the world’s most exclusive motorsport event, the Goodwood Members’ Meeting. Battista is now available to order from London Mayfair’s H.R. Owen, and Rybrook of the British Midlands.